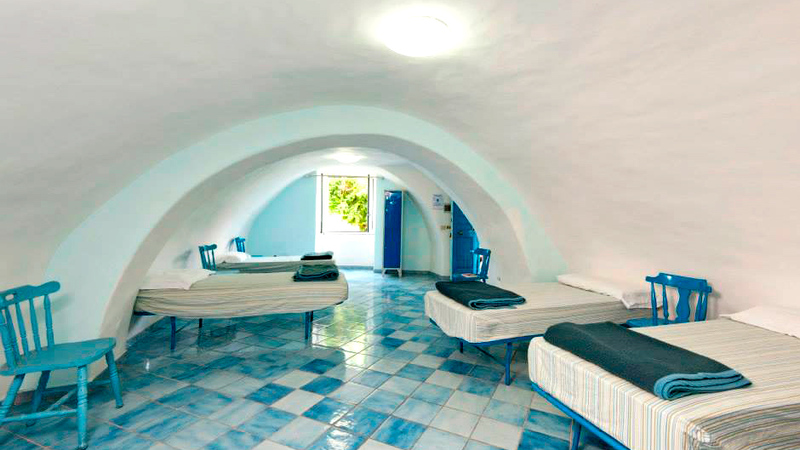 The Blue Room it’s a mixed dormitory located in the ancient part of the building. 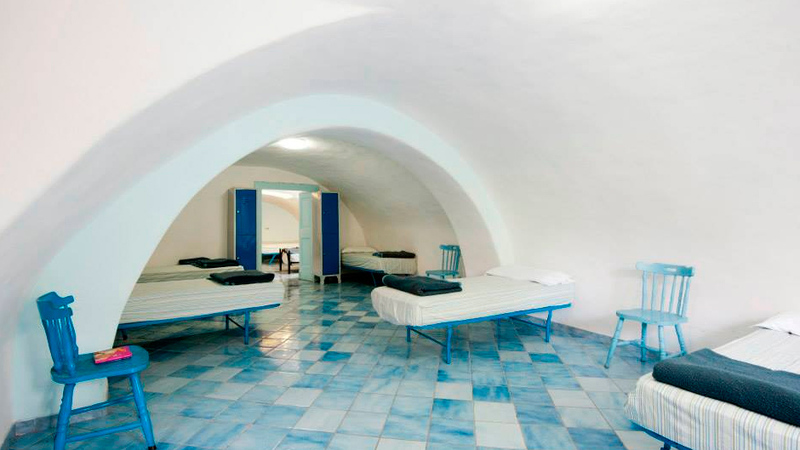 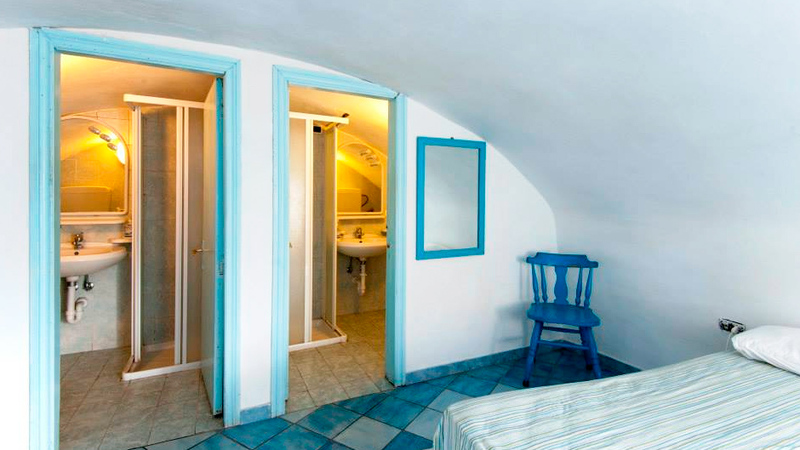 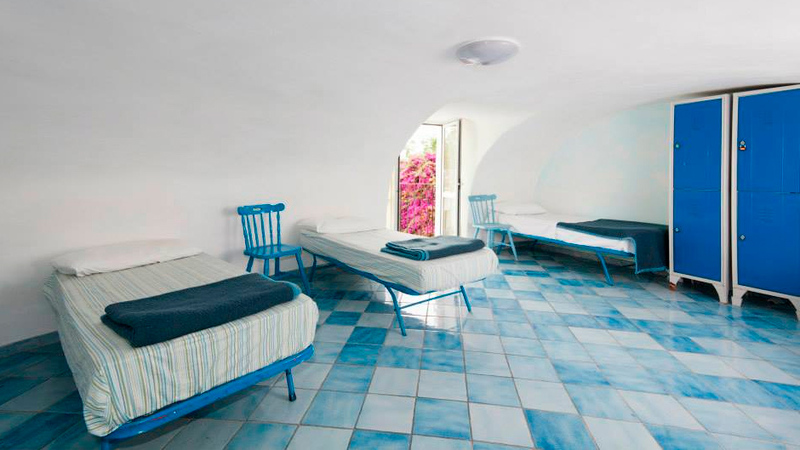 It’s a room bigger than most in Ischia, featuring a tunnel vault ceiling with a tile floor, mountain and city view. 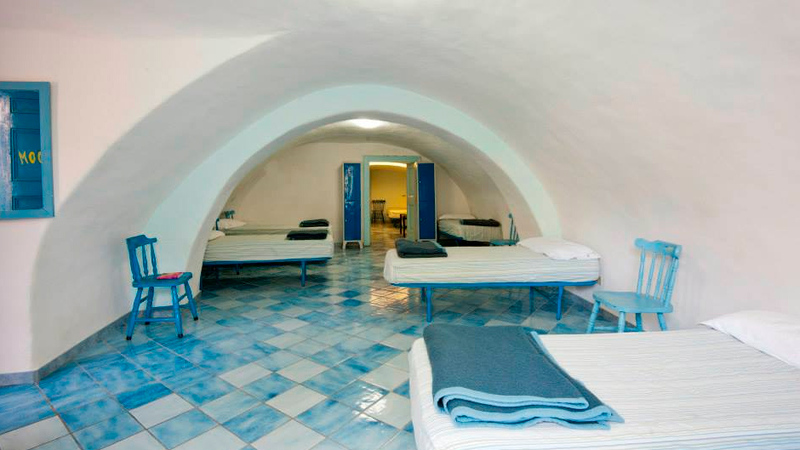 It has more than 12 beds for groups of people with two bathrooms, shower and hairdryer.